Opening a range of previously closed roles in the United States military will happen but incrementally and not completely until 2016, defense officials said while announcing an updated plan for integration. 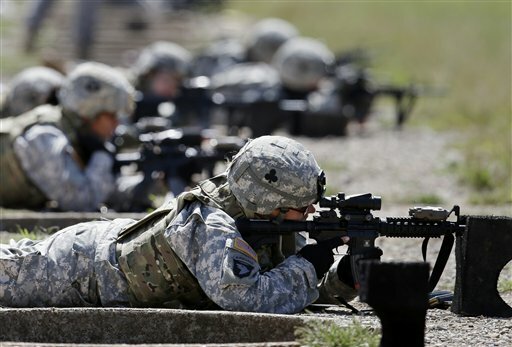 The Pentagon announced in January that women would for the first time ever be allowed to serve in ground combat roles, including opening up about 237,000 positions to women. While more than 14,000 of these positions have already been opened up, defense officials said on June 18 that concerns remain about full integration and steps need to be taken to ensure that women aren’t set up to fail. Is there any reason women couldn’t perform the same roles that men perform? “I’m more concerned with the men and their reaction to women in their formation,” Sacolick said. A planned survey should give officials an idea of what obstacles integration faces and give them a better idea to deal with the obstacles, said Army Deputy Chief of Staff Lt. Gen. Howard Bromberg. He said the survey is “about identifying hurdles that you may not see” so officials can look at the feedback and plan solutions. “Doing this right takes some time,” said Juliet Beyler, director of office and enlisted personnel management for the Defense Department. Aspects that need to be studied include physical, behavioral, social, and cultural standards, she said. There’s a possibility that while all of the fields are opened up, specific units remain all male. “A lot of it depends on who enlists,” Bromberg said. This potential continued exclusion of certain sections or units drew criticism after the announcement. “Battle-seasoned servicewomen will continue to leave the military if the residual effects of the combat exclusion policy continue to mean that they can’t compete for combat leadership positions and make the full contribution they are capable of making,” said Ariela Migdal and Vania Leveille of the American Civil Liberties Union in a blog post. “Our all-volunteer force can ill afford this talent drain of experienced fighters. ALL service branches should make clear that women will be allowed to train and compete for closed positions,” they said. The phased approach includes gradually opening up almost all positions to women and planning for an almost complete integration by Jan. 1, 2016, and a report to Congress later this summer detailing more specifics about the expected timeline.